Before James Mercer hit it big with the Shins, he fronted Flake Music. That earlier band featured the same personnel as the classic Shins lineup, and along with putting out several singles and EPs, the group released one album in 1997 before changing their name and achieving success as the Shins. Now, Flake Music's lone LP is getting a reissue. The album is called When You Land Here, It's Time to Return, and it will be out this fall through Sub Pop and Shins frontman James Mercer's own Aural Apothecary label. He told the Oregonian [via Billboard] that it's expected to arrive on Record Store Day's special Black Friday event (November 28). UPDATE: The remixed and remastered reissue has been confirmed for a November 25 release date via Sub Pop/Aural Apothecary. You can see the updated artwork above. The album has been newly mixed by Danger Mouse associate Kennie Takahashi. He told the Oregonian, "It never was mixed properly. It sounds like a fresh new record." Exclaim! 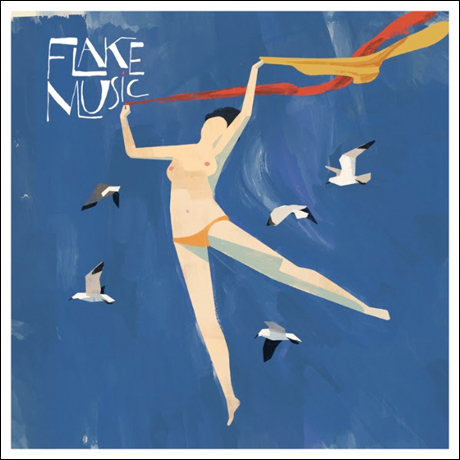 reviewed Flake Music's album upon its initial release, writing, "When You Land Here, It's Time to Return is not much of a departure from [the Shins'] current sound, maintaining the same indie Beach Boys-meets-XTC charm they do now, but with a little less effort in the production department." We're assuming that the tracklist here will be the same as on the original pressing, though that remains unconfirmed. See it below, and note that there's a song called "The Shins."